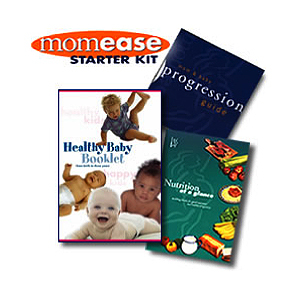 Sibley Memorial Hospital – For several years (2006–2010), Momease instructors worked as childbirth educators, teaching a variety of Sibley prenatal classes. We worked with the director of parent education and other staff members to redesign their curriculum to use InJoy Birth and Parenting Education materials. Momease provides customized products and services! Our staff includes knowledgeable, creative people to research, prototype, produce and deliver new products that inform your clients. The Pro gression Guide is a very visual and descriptive guide providing information about fetal development as well as easy exercises and tips to help mom maintain fitness. An interactive wheel with detailed illustrations gives parents an overview of fetal development from one to nine months. This 8″ x 8″ foldout opens to an 8″ x 24″ guide and makes the perfect wall hanging! This 100% terry cloth bathrobe can be used after a baby’s bath. Unlike the hooded bath towels, this product has less material and has a customized fit???. 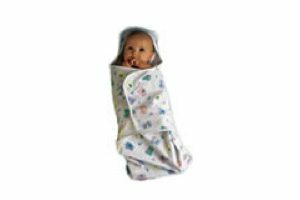 The water-absorbent terry cloth provides an easy way to dry babies and keep them warm after their bath. They are perfect for infant massages. The parent education manager at Sibley Memorial Hospital asked Momease to create a unique present for expecting mothers looking to labor without any medical interventions. The objective was to provide parents with a tool they could use at home and during labor in the hospital. The result was a CD derived from certified childbirth educators, midwives and labor doulas as a tool for laboring mothers. It provides excellent visualizations and relaxation techniques to ease a laboring mom through early, active and transition laboring stages. This CD is one of many tools to assist with labor and delivery. It should be used in combination with medical advice from a general practitioner and supplemented with prenatal education classes and materials. It is now available online at Momease.com and can be customized as a gift. Momease provided infant and child CPR classes for Corporate Executive Board employees at the company’s work site. This 90-minute class was customized for a small group of four employees, and their partners were invited to attend. The free lunchtime CPR course taught parents and family members CPR skills and how to relieve choking in both infants and small children. The American Heart Association (AHA) class that Momease used trains parents on signs of choking, how to prevent the most common fatal injuries in children, and how to reduce the risk of Sudden Infant Death Syndrome (SIDS). Momease has worked with several companies to customize postpartum services for their employees, such as online gift certificates to hire lactation or night-nurse services. The company provided the employee’s name, and Momease created a special page for other employees to contribute to the postpartum services.